Once you begin looking for your perfect gown, choose one trusted person to go with you. This person should know your style and be able to tell you the absolute truth about how a dress really looks on you. The more people you bring along, the more opinions you'll have to sift through. To save money, many brides have turned to discount bridal suppliers. Although the initial price of the gown may seem like a bargain, the cost of alterations could make a significant dent in those savings. Brides who think they can order a gown through a discount operation and get it tailored at a local dress shop are in for an unpleasant surprise, says one bridal shop owner. Altering today's wedding gowns is very specialized work. It takes years of experience. 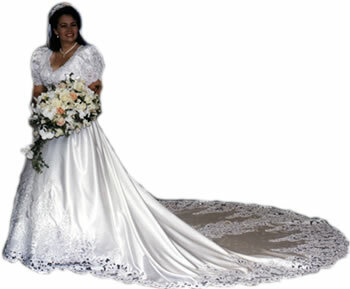 The cost of alterations varies greatly, depending on the dress's fit, age, fabric, lace and beadwork. Keep in mind that when a gown is ordered through a discount bridal supplier, there is often no recourse if a problem arises. Working with a reputable retailer that has years of experience and a solid relationship with manufacturers assures that you will receive the right dress, on time, and that it will fit beautifully. Once you find the perfect dress, you want to make sure it looks perfect on you. Finding the proper bra, slip, hosiery, etc., is necessary to create the perfect look. Many gowns require special undergarments. Low-line, backless bras and bustiers are made to provide the proper support without showing when and where they shouldn't. 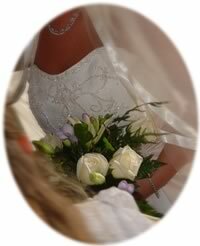 Luckily, professionals can help you choose which undergarments your dress requires. Specialty lingerie shops have specifically trained staff to help brides or any of her attendants find the proper undergarments and make sure they have the proper fit. Although many women shy away from specialty shops thinking the price will be much higher, they usually find that the prices are comparable and the service was essential. Not only do brides have to deal with what to wear under their gown, some need to be concerned with what to wear over it as well. Weddings take place in all seasons, and in certain climates, it can be cold! Brides, their attendants, and mothers-of-the-bride or groom often do not own the appropriate coat or wrap to wear on such a formal occasion. That's where businesses that rent special outerwear can come in handy. Many styles of velvet, satin, sheer organza, or faux fur garments are available to compliment any gown.